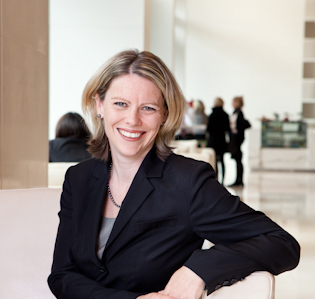 Michelle Fitzgerald is the chief digital officer and manager in the smart city office, City of Melbourne. In November 2015, Michelle joined the City of Melbourne as the chief digital officer (the first position of its kind for Victorian Local Government) managing the newly-formed smart city office. In this position she assists the City of Melbourne to attract start-up investment; drive the take up of digital, agile development and open data across customer services; lead the shift in infrastructure management towards smart city modelling; and collaborate with Melbourne’s research and higher education sectors to build the city’s education capabilities and reputation as a knowledge hub. Michelle was previously a customer and digital partner at Pricewaterhouse Coopers Consulting Australia. She is also a current non-executive director for Standards Australia, and was recently awarded as one of the Knowledge Nation 100 leaders in Australia.